Fabgear Corp. is a professionally managed venture with over 20 years history in the area of metal welding & cutting. 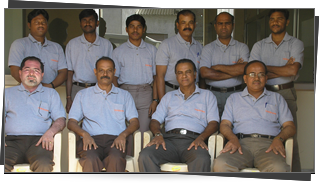 The company is focused on continuous product & manpower development so as to deliver excellent product & service. The venture was set up keeping in mind to supply reasonably priced machines to Indian customers and by now there are more than 150 machines working successfully among following customer segments. The product range includes High speed Single/Dual drive machine with Gas & Plasma option and a dedicated thin sheet plasma cutting machine. Dedicated CNC Controller specially designed for Gas & Plasma Cutting process. The controller hardware is of the state of the art modular technology with integral digital drives components such as precision gear box & servo motor, Off the shelf LCD panel, CD/DVD drive, hard drive etc. Machines are made of tubular sections as well as fabricated parts & indigenous components which help in lower after guarantee maintenance costs. We can also supply machines with other devices like Scriber, Plasma arc writer, Auto height controller for Gas & Plasma.